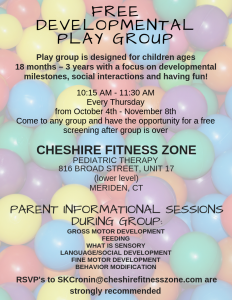 Cheshire Fitness Zone’s Meriden location is holding a free developmental play group. Play group is designed for children ages 18 months to 3 years with a focus on developmental milestones, social interactions and having fun! 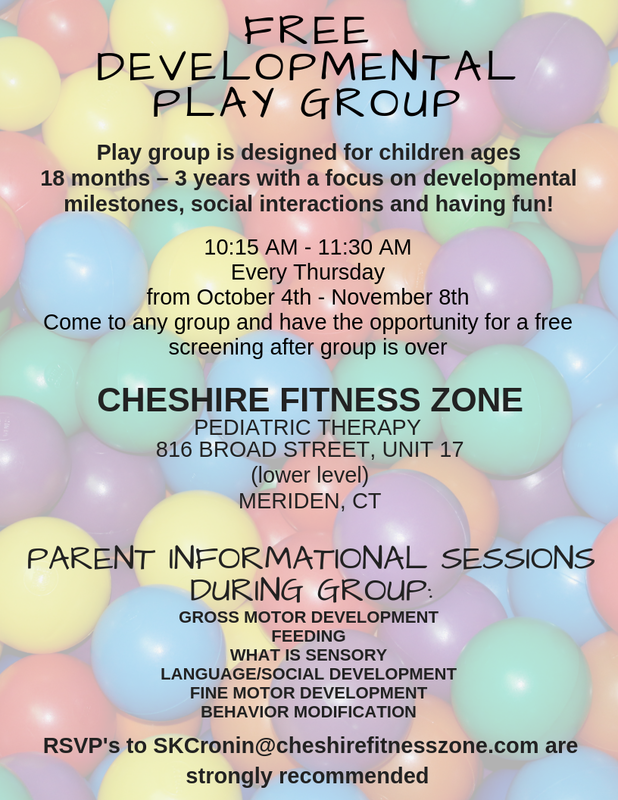 Play group will be held every Thursday, starting October 4th and running through November 8th from 10:15-11:30 AM. Once play group is over, you have the opportunity for a free screening of your child. 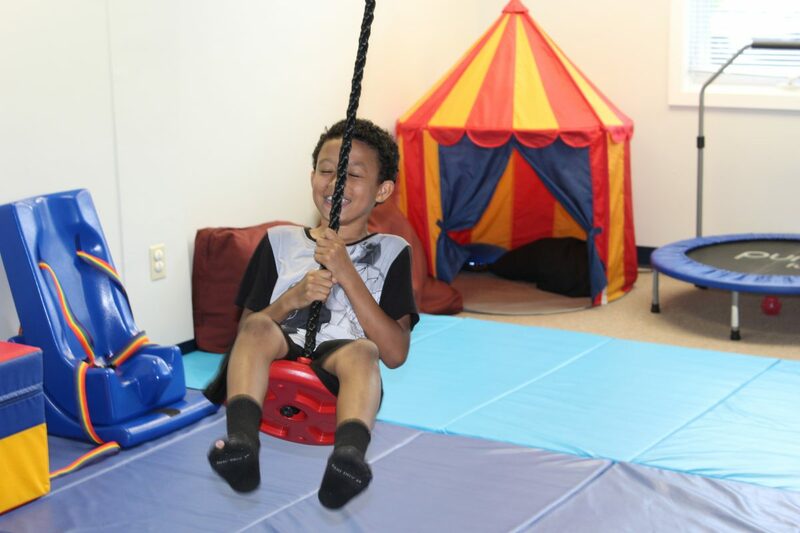 Parent informational sessions will also be offered during group; focusing on: gross motor development, feeding, sensory, language/social development, fine motor development and behavior modification. Please RSVP to Shay at SKCronin@cheshirefitnesszone.com. Cheshire Fitness Zone Meriden is located at 816 Broad Street, Unit 17 (lower level). → CFZ to offer Yoga for Kids and Baby & Me!